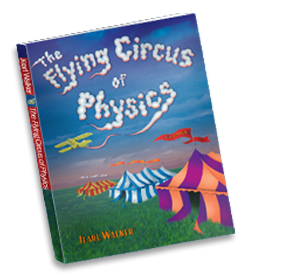 The Flying Circus of Physics is a book about curious events and effects of the everyday world. This site is an extension of the book. Facebook Flying Circus of Physics site (public site): my old television videos, many photos, and more stories. Here is the link. Come for a visit. Fans at some sporting events can be so enthusiastic that they shake the ground enough for seismic detectors to record ground waves. With coordinated jumping, you would think the stadium would collapse.